The Garrett ACE 250, A model up from the very popular beginners detector Ace 150, adds some very handy features and modes to it’s beginners detector line. 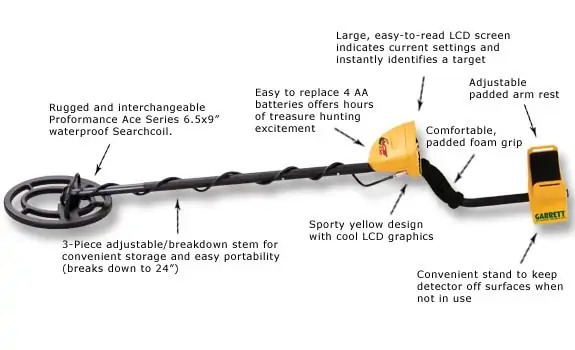 Before I write the Garrett Ace 250 Metal Detector Review I want to say that it’s often described as the best beginners metal detector on the market. The Ace 250 has everything you need to make some great discoveries. Keeping the simplicity of the 150 model but increasing the capabilities the 250 is great value for money and a great place to start out. Garrett has had a huge amount of success with its ACE metal detectors along with their other more advanced models and there is a reason for this. Quality. Made up of only three pieces as it’s predecessor, the control panel, the coil and the stem makes it very simple to assemble and take to pieces for ease of transport. The control panel is very simple to navigate with buttons for changing the hunt mode, the sensitivity, discrimination settings, Power on, Pinpoint mode, and elimination. Again the Garrett Ace machine takes 4 AA batteries and these are entered into the back of the control box. There’s a headphone port at the back which I would recommend you take advantage of, the Garrett Ace machines are fairly noisy without. The Garrett 250 has the sponge padding on the forearm rest and on the hand grip giving a more comfortable experience. A Velcro strap is also present for securing the machine to your arm taking the weight strain away. Not that the machine is heavy as once again Garrett have managed quite well to keep the machine as light as possible without the sacrifice of the sturdiness. As you can see from the LED screen picture above the display is fairly simple to navigate. This time featuring a battery level indicator, unlike the Garrett Ace 150 model. You can see the current mode, the sensitivity bar, the target depth indicator, metal composition indicator and the bar for discrimination. No LED backlight, unfortunately. Now for a quick breakdown of what the buttons do. Mode – This button navigates through the coin hunting modes. As you can see there is now a custom mode which allows you to set up your own discrimination levels. Discrim and Elim – Discrimination and elimination go hand in hand, these buttons are used to remove unwanted targets. For example, you find a nail, discriminate and eliminate this nail target pattern. However, I personally try not to discriminate anything and dig as much as I can you just never can be sure. Power – Switch on and go. Pinpoint – A very handy mode to use when trying to pin point the location of a target. The sound intensifies as you hover over the item. This takes some getting use to but once you have mastered it can save you a lot of time when trying to locate the item in a hole. It gives a more detailed idea of the targets location. As you can see from the picture of the control box an extra 2 inches have been displayed on this models depth indicator. Giving a maximum of 8 inches. I would just like to add I have personally used a Ace 250 and have found targets deeper than 8 inches and other people from around the net have stated they have also. The machine weighs around 1.2 kg and the size can be adjusted with ease from 42″ to 51″ once again Garrett have created a machine that can be happily used by older children right the way through to adults. Garrett Ace 250 is not completely waterproof so an investment in a control box cover would be advised, although some packages include this as standard. The coils are however waterproof. As previously mentioned the depth of the Garrett ACE 250 coincides with the display decal which gives a maximum of 8 inches. However depending on the conditions of the ground, it is possible to locate targets deeper, I would recommend wearing headphones though as signals can become rather faint and hard to hear. You can download a copy of the Garrett ACE 250 manual in PDF format from here. These settings are of my own personal opinion. Feel free to leave your personal best settings in the comments at the bottom. With the ACE 250 being a beginners metal detector there really isn’t much advice I can give with regards to the best settings, it is trial and error. I would suggest switching the sensitivity as high as it goes without it becoming unstable, keep it in all metal mode and notch out the two top bars to decrease the iron grunt. 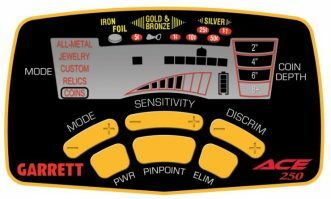 These are in my opinion the best settings for the Garrett ACE 250. Generally speaking, the ACE 250 does not perform amazingly in wet sand. So expect some false signals or just stay away if possible. I would lower the sensitivity a couple of notches until the machine is stable and put it in jewellery mode. With the release of newer Garrett beginner models, the price of the Garrett ACE 250 has drastically reduced. 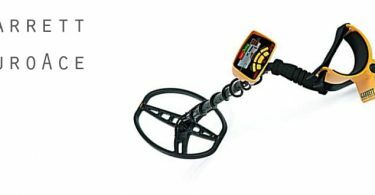 There’s a reason that this is the number 1 selling metal detector in the world. The combination of simplicity of use, value for money and capability in the ACE 250 makes it a highly popular choice. Garrett has created a metal detector that everyone can pick up and use. Allowing people with smaller budgets, beginners, children and adults alike to own a capable metal detector that works, and works well! 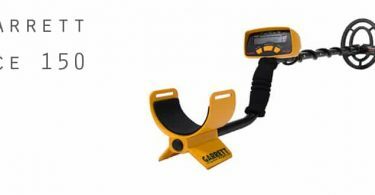 So if you’re about to buy the Garrett ACE 250 I would highly recommend it especially so for anyone starting out in the hobby and even as a spare for the more seasoned detectorist. It comes with a 2-year warranty on parts and labour, is very sturdy and will not take you 5 minutes to learn. 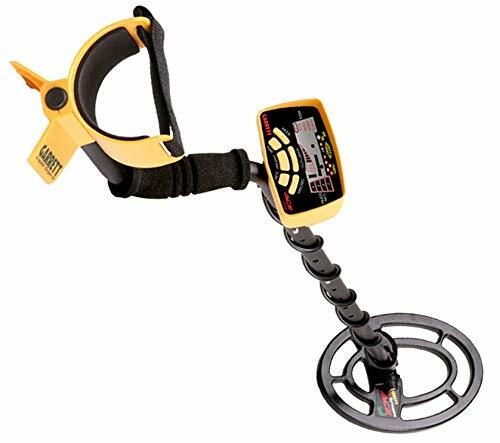 A great starting metal detector that will find you stuff! There’s a very high possibility that the metal detector pays for itself in the first year. Here are a few examples of coil upgrades. 5″x 8″ DD submersible search coil – waterproof and submersible. 4.5″ Ace Sniper Search Coil – Smaller targets in trashy areas. 8.5″ x 11″ Ace DD Search coil – Increased depth and stability. Length adjustable 42" to 51"